All SIERRA RIDGE LOT 1-136 TR homes currently listed for sale in Scottsdale as of 04/23/2019 are shown below. You can change the search criteria at any time by pressing the 'Change Search' button below. 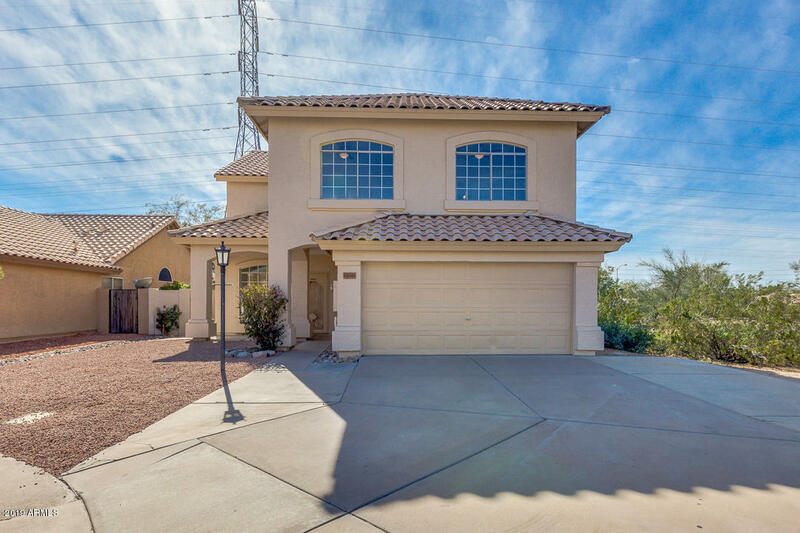 "Take a look at this incredible 4 beds, 2.5 baths home in Scottsdale! With desert landscaping, 2 car garage, and great curb appeal. This two-story beauty will captivate you the minute you step out of the car! Immaculate interior boasts tall ceilings, tile flooring in main areas, recessed lighting, formal living & dining rooms, family area, and tons of natural light. Fabulous kitchen showcases stainless steel appliances, ample cabinetry, mosaic back-splash, stone countertops, pantry, and breakfast"